The company’s experts and thought leaders share eight categories of trends that many Chief Learning Officers will embrace in 2018. San Francisco, California, March 1, 2018 — SweetRush, a leader in performance improvement and custom learning solutions for corporate training, recently shared its predictions for the top instructional design trends of 2018. 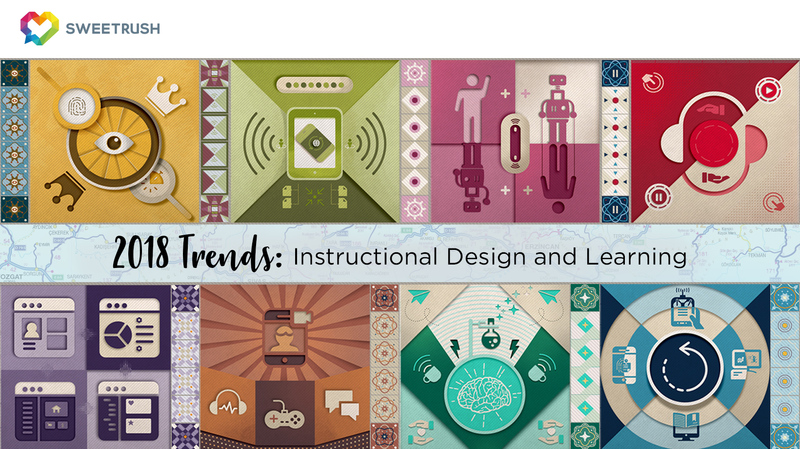 The article “2018 Instructional Design Trends and Learning Trends: The Journey of Learning” brings together the expertise of SweetRush’s learning and development thought leaders, including senior practitioners in instructional design, visual design, and technology. Along with the article, SweetRush has also published a 2018 Instructional Design Trends infographic that offers a quick hit of the best quotes and data. View the article on eLeariningIndustry.com.